To download books, search for the Axis 360 app in your APP store. 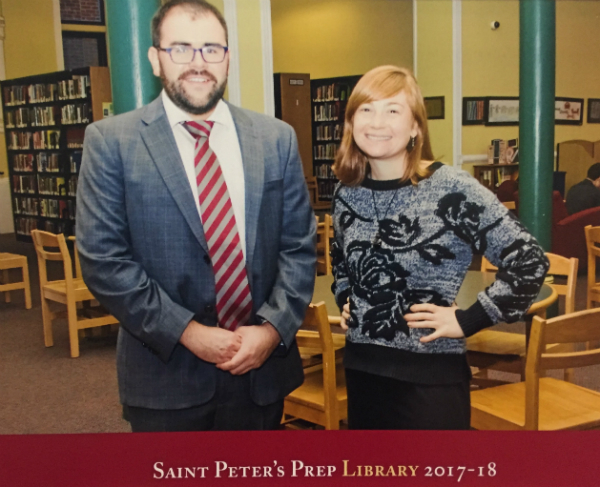 Follow the link and use your Prep login information to check out books. Looking for something to read, but don't know where to start? Fill out the Library Concierge form and Ms. Hoffman will tailor a reading list based on your responses. A great way to find something new! Once you've selected your book from the shelf, bring it to the library desk. Give the book to Ms. Hoffman or Mr. Reese, and we will check it out to you on the computer. Bring the book to us before you leave the library. Generally, you have a month to keep the book, but we can renew it at any time. Once you're done with a book, return it to Ms. Hoffman or me. Please do not put the books on the shelves yourself. Library Catalog Finding print resources in the library. 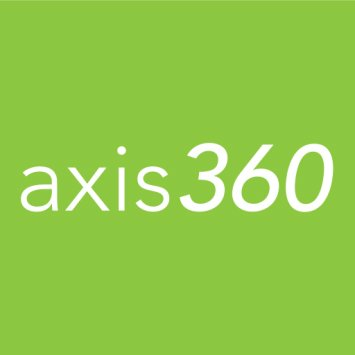 Axis 360 For using eBooks and eAudiobooks. Choosing a book thoughtfully will increase the likelihood that you will commit to it and enjoy it. You should select books based on (1) interest and (2) readability. Readers choose books based on (1) INTEREST. Readers choose books based on (2) READABILITY. If a book catches your interest, try it. Start with one hand in a fist. Read the first page. Put one finger up each time you come across a word that you do not know. If at the end of the page you have five fingers up, the book might be frustrating for you to continue to read. If two or three fingers are up, the book should be just-right. If no fingers are up, the book might be too easy. In addition, general fiction is organized by Call Number. Non-Fiction is shelved on the tall bookcases in the back of the library (near the red chairs). These are all organized by Library of Congress Call Numbers. Use the library catalog (linked here and found above) to find what you're looking for. You can type in a name of a book, a subject (like sports or fantasy), or a favorite author. "Writing letters to the late Dr. Martin Luther King Jr., seventeen-year-old college-bound Justyce McAllister struggles to face the reality of race relations today and how they are shaping him"--Provided by publisher. Overweight and nerdy Oscar lives with his Dominican American mother and sister in New Jersey and dreams of becoming a renowned author and finding true love, but unfortunately, a family curse stands in the way of his wishes. "Brooklyn Visions Academy student Miles Morales may not always want to be a super hero, but he must come to terms with his identity--and deal with a villainous teacher--as the new Spider Man"-- Provided by publisher. Ogami Itto, the Lone Wolf, and his nemesis, Yagyu Retsudo, lie dead on the field of their titanic duel. Ogami's young son, Daigoro, will not leave his father's side, and none dare help the child, none save Togo Shigetada, a samurai on a desperate and deadly mission of his own. In an alternate world, humans have nine lives in which they cannot wait to use them up. A young man named Julian who is determined to stay on his first life for as long as he can along with a group of student dissenters seek out to find answers, and are on the verge of exposing one of the greatest conspiracy ever unleashed on the world. "Told from alternating perspectives, Bunny takes a basketball scholarship to an elite private school to help his family, leaving behind Nasir, his best friend, in their tough Philadelphia neighborhood"--Provided by publisher. The author, hose of the podcast "Lore", guides us through the history of terrifying creatures, exploring not only the legends, but what they tell us about ourselves. "This book takes readers from 1979, widely regarded as the moment rap became recognized as part of the cultural and musical landscape, and comes right up to the present, with Shea Serrano ... discussing, debating, and deconstructing the most important rap song year by year"--Amazon. The X-Men must form an alliance with Magneto to fight the Stryker Crusade, a group led by religious fanatic William Stryker, the proponant of mutant genocide who has turned Charles Xavier against the X-Men. "Lunella Lafayette is a preteen super genius who wants to change the world-but learned the hard way that it takes more than just big brains. Fearful of the monstrous inhuman genes inside her, life is turned upside down when a savage, red-scaled tyrant is teleported from prehistoric past to a far-flung future we call today"--Amazon. One of the best books Marvel has ever put out. In volume 1, "Clint Barton--a.k.a the self-made hero Hawkeye- fights for justice...and good rooftop BBQs!" - Back Cover. This graphic novel explores the origins of hip hop through a story that is "cool enough to freeze hot water" (Fab Five Freddy). An excellent read. In the year 2044, Wade Watts, like the rest of humanity, chooses to escape reality and spends his waking hours in the limitless, utopian virtual world of the OASIS, but when Wade stumbles upon the first of the fiendish puzzles set up by OASIS creator James Halliday he finds he must compete with thousands of others. "An autobiography about Kareem Abdul-Jabbar and his life growing up in New York, becoming the basketball star he's known to be, and getting involved in the world around him as an activist for social change"--Provided by publisher. Collects the early adventures of the New Teen Titans after Starfire, Cyborg, Raven and Changeling joined the team. Astronaut Scott Kelly shares details about his life, discussing his childhood in New Jersey, training, space missions, and more. "A collection of five spine-tingling short stories"--Provided by publisher. "Meet Riverdale High teen Archie, his oddball, food-loving best friend Jughead, girl-next-door Betty and well-to-do snob Veronica Lodge as they embark on a modern reimagining of the beloved Archie world"--Back cover. Lord Ballister Blackheart seeks to bring down the Institution of Law Enforcement and Heroics with the aid of his new shapeshifting sidekick Nimona. "New Orleans, a century ago: a city determined to reshape its destiny and, with it, the nation's. Downtown, a new American music is born. In Storyville, prostitution is outlawed and the police retake the streets with maximum violence. In the Ninth Ward, laborers break ground on a gigantic canal that will split the city, a work of staggering human ingenuity intended to restore New Orleans's faded mercantile glory"--Jacket flap.